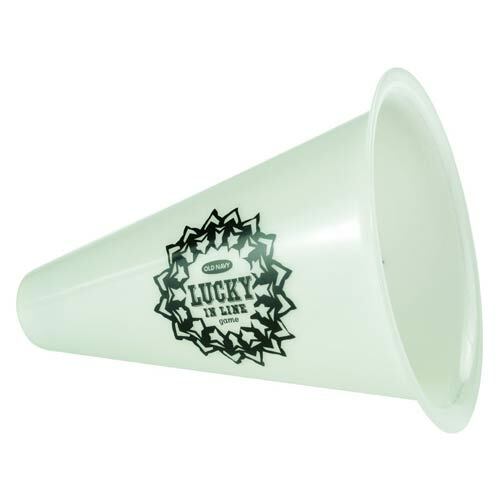 Glow in the Dark Megaphone Printed with safe, durable UV ink.Perfect for school events, tailgating parties, picnics, concerts. Molded from PP (polypropylene) Recycled Code 5. Union made in the USA. Due to the steep taper of megaphones, multicolor imprints are one side only and close registration cannot be guaranteed. Please specify â€œUpright", â€œDisplay" or â€œYelling" imprint position. Bulk / 30 lbs / 100 pcs. / 24" x 12" x 15"box.